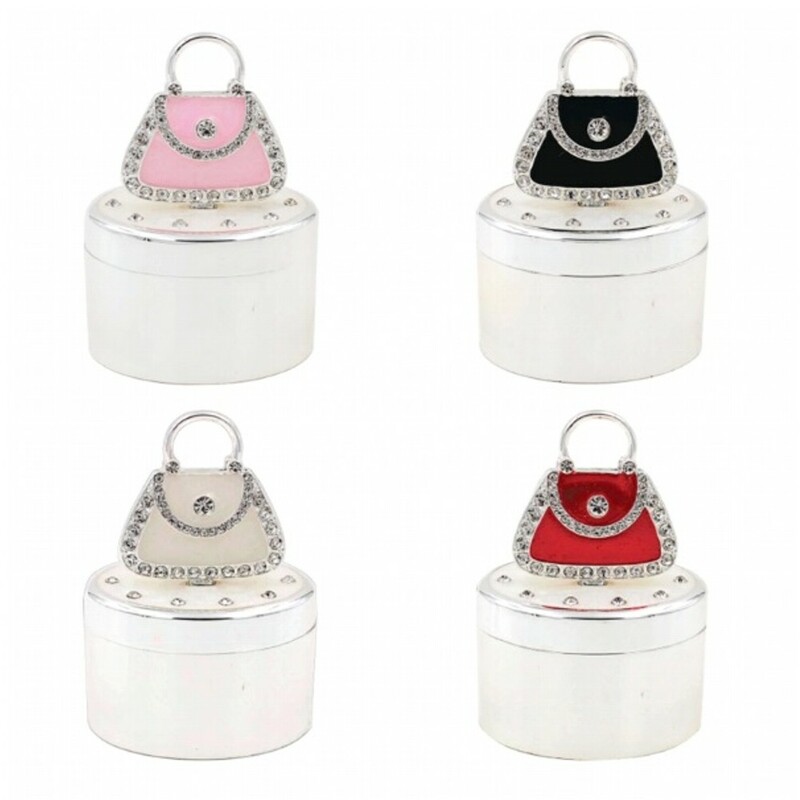 A beautiful silver plated oval trinket box with the handbag available in 4 colours, Red, Black, Cream and Pink. These amazing trinket boxes have a cream velvet lining and measure 58mm x 43mm x 80mm high (from the base to the top of the handbag). They have diamante detail around the edge of the lid with a cream marble effect within the diamantes. The handbag on top of the box have intricate diamante detail too. We will engrave your personalised text around the base of the trinket box. Each trinket box comes with a black satin lined box with a clear lid.